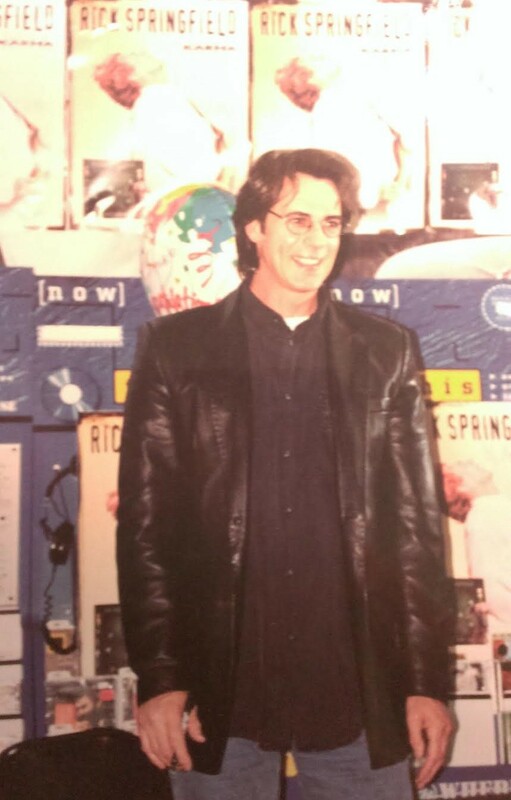 Rick Springfield at The Wherehouse in the Beverly Center in Los Angeles, on April 13, 1999 – the year his “Karma” CD was released. 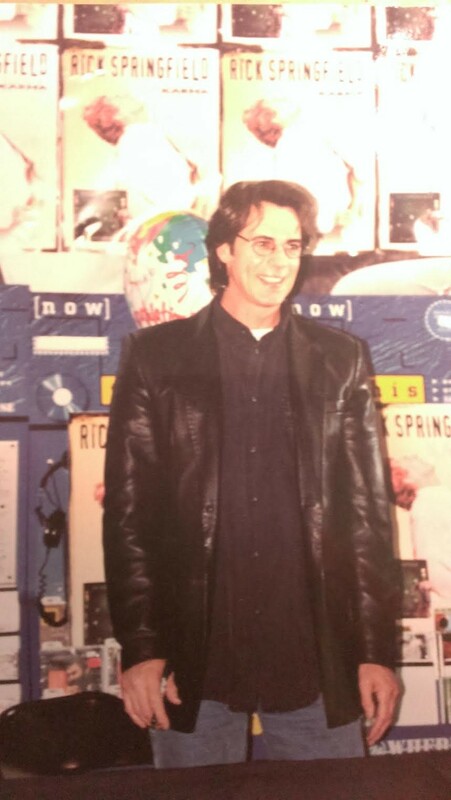 Although I wasn’t aware of it at the time, Rick Springfield took some time off after “Rock of Life” and I didn’t hear much about him except for that horrible ATV accident and that he had had a couple of kids. Life got busy and that was that. 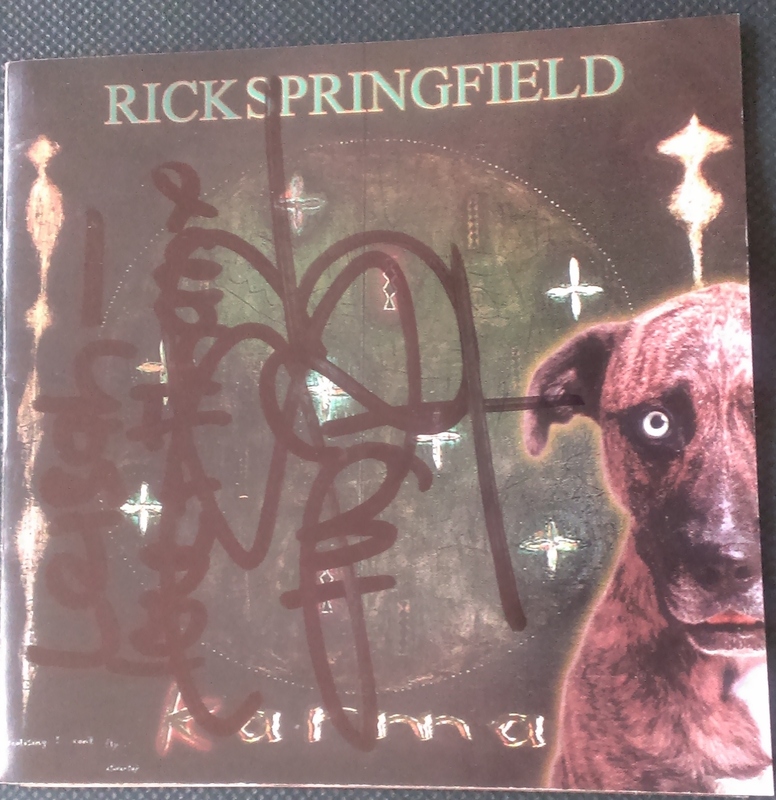 He signed my new copy of “Karma” (CD) and an old copy of “Success Hasn’t Spoiled Me Yet” (record). I don’t remember much about the meeting, except that he was really nice, looked very cute and he said he liked the way I spell my name. I still have a framed photo of him from that day on the bookshelf in my office. Not sure if there are other photos – like maybe one of him with me?! (I think I was trying to be respectful of my former husband by not having a photo of me with another guy displayed on our bookshelf but maybe there’s more photos in one of the boxes in the garage. This was long before digital cameras). I don’t think I said much as my mind tried to process that I was actually standing right next to him. The moment lasted forever but was over in few seconds. After reading his “Late, Late at Night” memoir, I recently learned that “Karma” represented a spiritual journey for him, and in 1999, the songs really resonated with me because I had spent the last few years on a spiritual journey of my own. 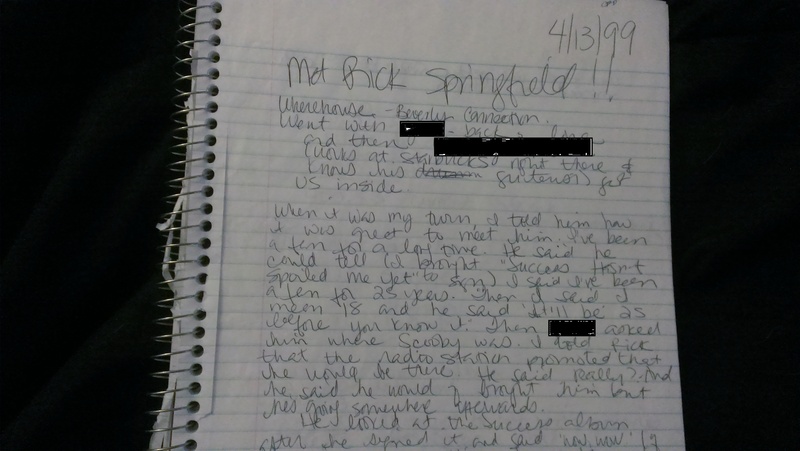 Soon after that brief meeting, I learned that he would be performing in concert near Las Vegas – at Sunset Station in Henderson, very close to where my aunt and uncle lived – and my best friend from high school and I planned a trip to see him in concert (she was one of my friends who camped outside the mall for tickets). 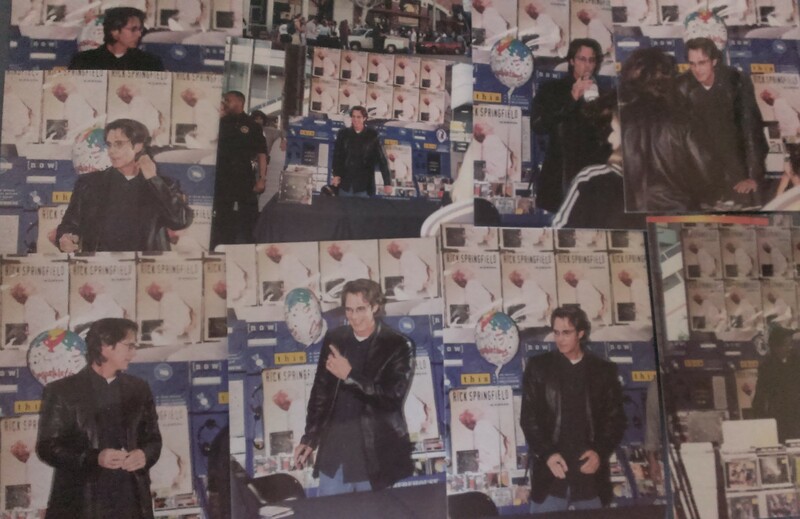 By that time, I had returned to Arizona and my friend and I traveled to Vegas for the Aug. 28, 1999 concert. My appointment book said that we were in the front row by the end of the concert and I got to touch his hand and then met his band afterward but I don’t have any memory of any of that. 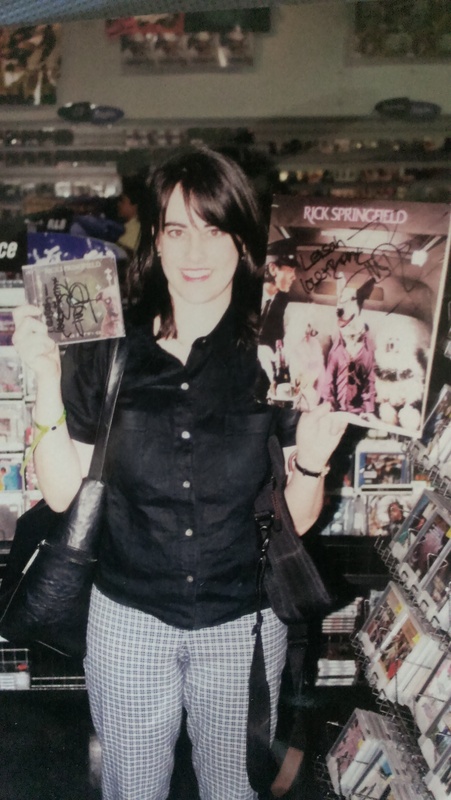 (This was 15 years ago, you know-most of my memories are written in notebooks or appointment books in boxes in the garage). However, I do remember being surprised at how loud I could still scream and wondered how the children of some of the women who were there would feel if they saw their mom throw her bra on the stage.